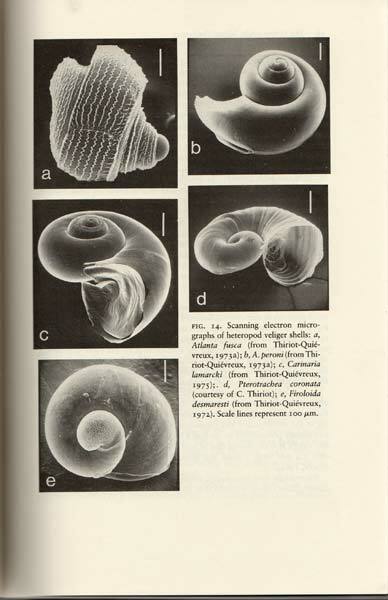 Although this book is now a bit old, it is still the best study of these gastropods whose life cycle is spent on or near the surface of the oceans. 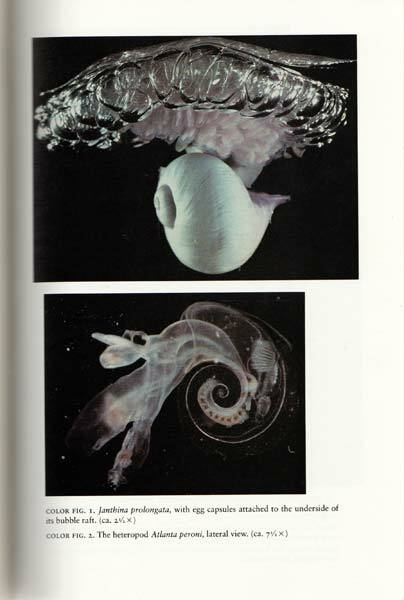 The book concentrates on the ecology and the biology of these mollusks. 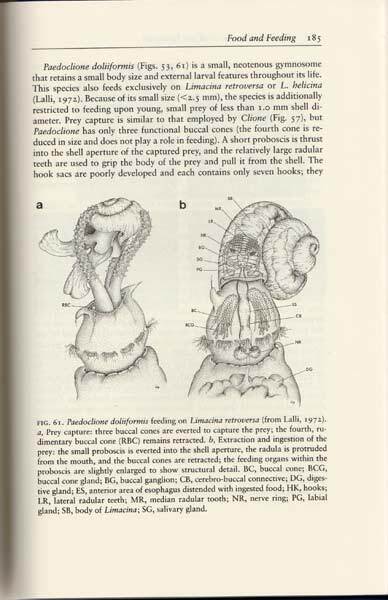 The book also gives us a look at the remarkable shapes that have evolved in these snails to survive in their habitat. In some the foot has developed into "wings" and others have developed a way to make rafts of bubbles to keep them afloat. 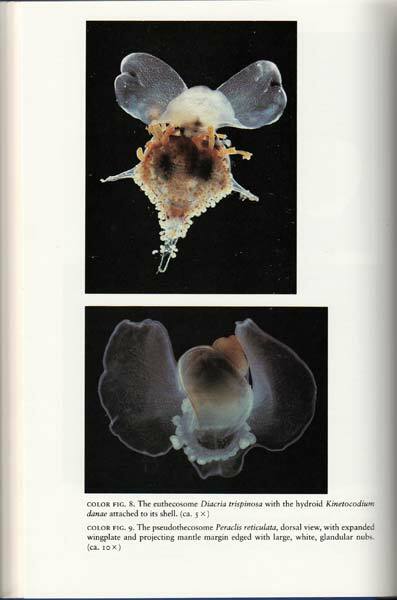 It is a fascinating look at these strange mollusks. This is a used, ex-library copy but it is in excellent condition. 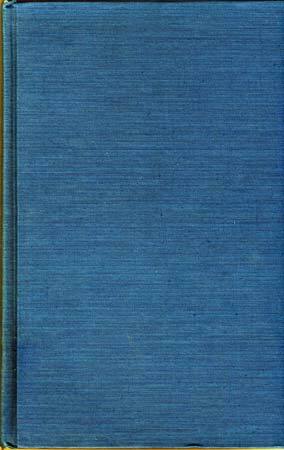 The dust jacket was not retained but pertinent information from the inner flaps have been pasted on the inside front cover and the front flyleaf. There is a library card pocket and a barcode label glued inside the back cover and a due date sheet glued to the back flyleaf.